Perm in Sauk City WI Want to put some wave or curl into your hair? For those with straight hair, you'll be able to add some wave or some curl to your hair with a perm at Salons For You. Our talented stylists can perm your hair to the level of curl or wave that you'd like. The stylists are experienced with perms and have an eye to provide you with the exact look you'd like. Whether your in the mood for a slight wave or a look with lots of curls, it may be time for you to call a stylist at Salons For You. To schedule a perm with one of our talented stylists, click here. Want to put some wave or curl into your hair? For those with straight hair, you’ll be able to add some wave or some curl to your hair with a perm at Salons For You. Our talented stylists can perm your hair to the level of curl or wave that you’d like. The stylists are experienced with perms and have an eye to provide you with the exact look you’d like. Whether your in the mood for a slight wave or a look with lots of curls, it may be time for you to call a stylist at Salons For You. To schedule a perm with one of our talented stylists, click here. 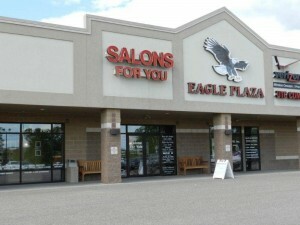 Salons For You is a group of independent stylists, located in Sauk Prairie Wisconsin, who offer a full range of services including hair care, skin and nail care, massage, and other unique services. © 2019 Salons For You.